Happy Friday everyone! I have a very cutesy 26 Great Nail Art Ideas post for you today. It's all about red and pink if you can't guess. In the week before I did this mani, Nail-Mail contacted me and asked if I wanted to review some vinyls and then sent me a few different ones. 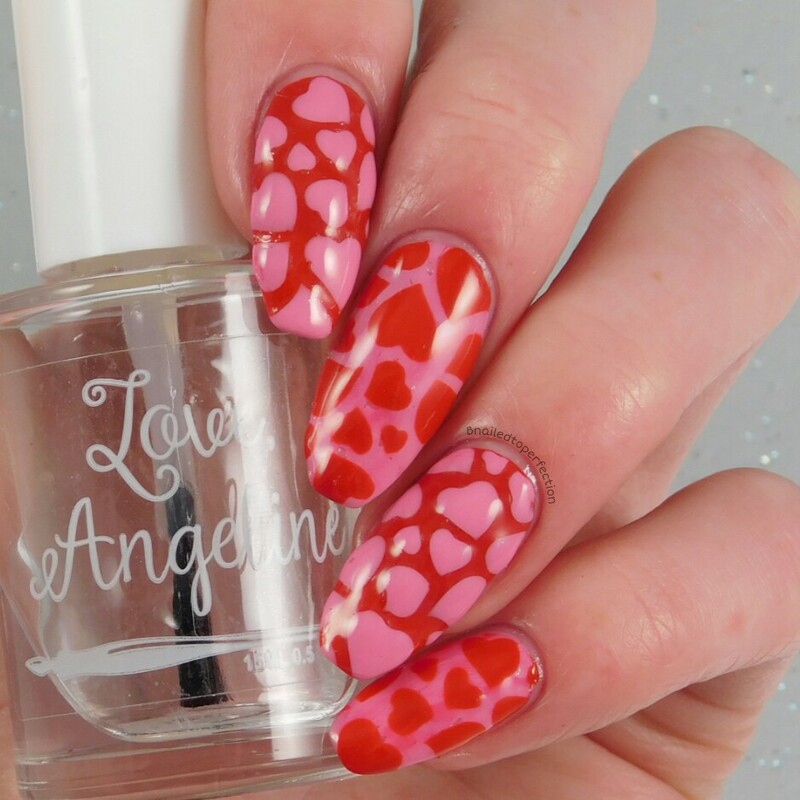 I just had to use the cute Floating Hearts for this mani as it was just perfect timing! I used two Barry M polishes, Dead Heat and Dragon Fruit. I applied them in alternate colours on my nail and used the vinyls on my mat. I put the vinyls straight on the mat and painted right over them, then peeled them right away. Once dry, I added a coat of Sally Hansen Double Duty to turn them into decals. This may seem like the long way around but I prefer to use vinyls in this way as it's cleaning and no risk of peeling up my peel off base coat! I really loved how this mani come out and the vinyls were so easy to use!! I will have more items from Nail-Mail on my blog very soon, including some lip stencils that they kindly sent me to help with my #smearforsmear campaign. What do you think of my mani? How do you use nail vinyls?